Great news! 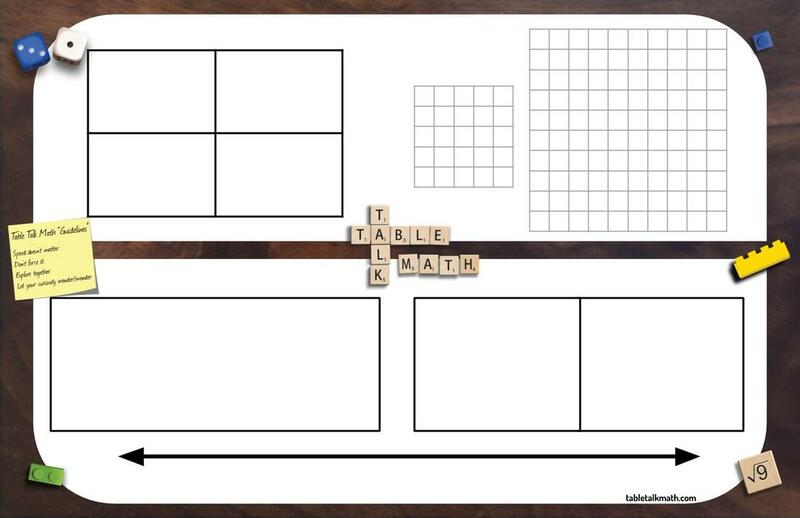 The placemats are back in stock and ready for you to order. 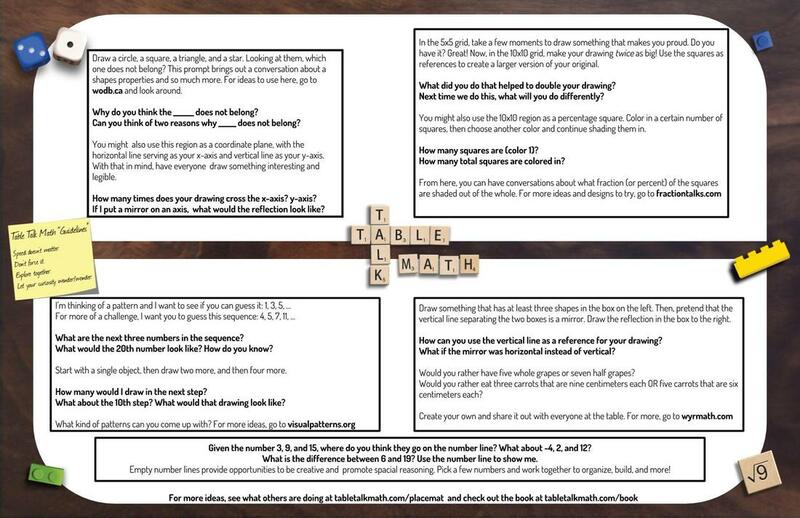 If you are a school or large group looking to place a bulk order, please contact me directly via email (﻿﻿john@tabletalkmath.com﻿﻿) so I can reserve a set for you. As I mentioned in a recent newsletter, 100% of net proceeds will be donated to schools in need, so there is yet another bonus to your investment. If you are on a mobile device, this link is much easier to see! Using the number line, place values where you think they belong. Draw something in the top right block, then make a reflection. Color in as many boxes as you would like; how many did you color? Draw something, then make it similar. What's the same? Different?